This year, we’re celebrating our Bluegrass roots with an array of events and specials that honor Kentucky Bourbon. Just for the month of September, we’re serving up 7 specially crafted bourbon cocktails. 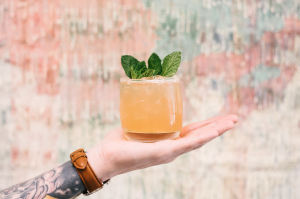 If you can’t make it in, you can celebrate yourself with by making one of our favorite cocktails, the Kentucky Daisey, at home. This light and refreshing cocktail compliments the pronounced flavor of bourbon with notes of grapefruit, orange, ginger, and mint.